Circling Through This Life: Schoolwork completed, Laundry done and Dinner?! So many days it seems that I can either get schoolwork done, or lots of laundry washed, dried, folded and put away, or we can eat hot home cooked meals, but managing all three? Sometimes, I can get two of three done. But not all three. That is until recently. So I’ve started thinking about those rare days when I have managed to get more than 1 subject completed in our home school and managed to get at least one load of laundry completed and actually managed to get a hot meal served. How did I do that? It is possible to serve a hot home cooked meal on the same day that you wear clean clothes and accomplish school work. The Key? There are three: A Crock Pot, Daily Laundry, and an Assignment sheet. In this post I’m going to focus on using my crock pot. Use your crockpot! It sounds so simple doesn’t it. Years and years ago I had a six week rotating CROCK POT menu plan. Yes, I pretty much used my crock pot Monday through Friday. It was especially important on Tuesdays that year we lived at Fort Lost In the Woods Leonard Wood. That was the day that we had we were running around the most. OT, Gymnastics, Homeschool Co-Op and then weekly grocery shopping. Sigh, those were the days. 4 little ones, 1 me, a whole lot of work but I have happy memories of those Tuesdays. As the girls got older and school and mornings became more demanding and because I was giving up the store bought canned cream of something soup, I found that I used my crock pot less and less. I just didn’t have time in the morning to throw something in the crockpot and so very many recipes call for cream of this or that soup. I want to eat healthier and my home made variations didn’t work as well the crock pot. Recently, I’ve rediscovered my crockpot. My family has also expanded our culinary tastes and my kitchen creativity has improved over the last 12 years. I am finding lots and lots of recipes that we can try that do not require cream of something soup and that sound good. Monday: “Italian Chicken” ~ This is a common name but this is a twist on chicken Alfredo. Tuesday: Tacos. I used already browned ground meat, added my water and taco seasonings and let it simmer away on low for a few hours. The family decided this was tastier than just simmering on the stove for a few minutes. It is now the preferred method for preparing taco filing. Wednesday: A vegetarian Potato, Leek and Carrot Soup. Thursday: We tried a new recipe for “Chicken Curry”. I scored lots of good wife brownie points for this one! Look for the recipe on a Tuesday in a few weeks. Friday: I created my own variation of Shrimp Creole. I looked at a couple of different recipes and came up with my own. I think this will be a Try it Tuesday Recipe in the future as well. Even my non-creole loving child liked it and Supergirl? She loved it and asked for more. And me. The one who doesn’t like shrimp? Yes I ate it and I liked it. So how do I manage to have clean laundry, serve a hot cooked meal and still check off that we did school? I make sure to do at least one load of laundry every day, I use my crockpot, and I create assignment sheets. This weeks blog cruise “How to ______” will be live on Tuesday (1/15). In the meantime you can check out the Schoolhouse Review Crew Blog for past cruise posts. 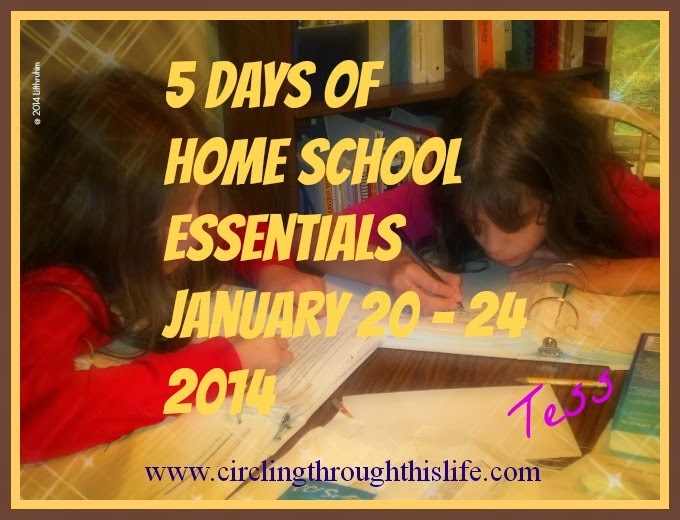 Yes, the crockpot is a great invention for homeschool mamas! Another thing I like to cook in it is things like pulled pork or "refried" beans which make so much that I can divide them up and freeze portions for future meals. The freezer is a homeschool mamas's friend, too. We don't do a month of freezer meals, but I do like to do some big batches of things like chili and meat sauce once a month, and portion them out into zip bags for the freezer so I have plenty of ready to defrost options on hand. I can so relate to this. In our part of the world I have been so blessed to have special ladies to help me with the housework. This year we needed to let one go (we had 2 of them helping out). So that meant I took on more work inside the home. I guess I still have it easy because I've got one superwoman left to help me out but I discovered that housework seems to breed and multiply especially when left all alone. I'm not sure what a crockpot is but your photo looks a lot like our rice-cooker (which we don't use much anymore because we found it easier to cook rice using a regular little saucepan).